Many is the novel that seeks not so much to tell a story as to make a point (Atlas Shrugged for instance). David Brooks’s 2011 book, The Social Animal, tells the story of a fictional couple, in order to make a lot of points. It is a sociology treatise in novelized form. Regularly, he interrupts the story to bring in the scientific research being illustrated. The characters are merely stalking horses for the science. 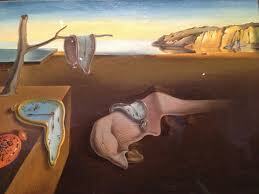 This is a surrealist story, one might say an Eckhardt Tolle sort of story, because it unfolds in a perpetual now. Even though the characters age – the book follows their entire lives – indeed, we even meet the parents of one, before his birth – everything is set in an eternal 2011. That’s because Brooks is not seeking to discuss the past or the future, but to elucidate today’s life. Well, for people like Harold and Erica. And they are not Everyman (and Everywoman). Oh no, this is a pair of overachievers of the chardonnay and brie set. Erica becomes a cabinet member, for Chrissake. Such people may not, technically speaking, be insufferable, but I do find it insufferable how they overpopulate literature. I guess it’s natural that writers like to write about people like themselves, and they tend to be more like Tom Wolfe than Stanley Kowalski. OK, I admit to envy. It’s absurd and irrational (especially vis-à-vis fictional people); I have a great life, and if I lived Harold’s life I’d probably be wretched (as he is, for some of it). But still, he’s so successful, has so many interesting friends, and a social adeptness I never had. I’d really rather read about normal people. At least Erica didn’t have the upscale life handed to her on a platter. She was born into challenging circumstances, overcoming which takes great force of character, which in the real world few can muster. But this, to his credit, is precisely Brooks’s point. Erica’s breakthrough was getting into a charter school at 13, via an extreme deployment of sheer will. The scene brought tears to my eyes – of exhilaration for Erica, and sorrow for all the poor schnooks left behind. Brooks too thinks a lot about the latter, and uses Erica’s charter school to give us his prescription. Poverty doesn’t have a simple cause, it’s an emergent phenomenon rooted in a panoply of negative cultural factors; a quintessential vicious circle. Perceiving that, Erica’s school aims to give students not just classes, but an environment, a whole culture, to supplant all the negative elements of their outside culture. This is no mere fantasy. There are such schools, enjoying great success. But alas they are rare, and our hidebound, union-bound, bureaucratized public schools are incapable of emulating them. Thus we throw a quarter of our population in a garbage dump. Brooks doesn’t make this connection explicitly, but while Harold and Erica are at least not assholes, they do intersect with many in their careers, and this again shows the importance of qualities other than IQ. For someone who’s considered to be on the right of the political spectrum, Brooks (like Adam Smith before him) has a pretty dim opinion of many in the business world. Nobody ever claimed capitalism is a perfect halcyon world (though critics seem to think pointing out imperfections damns the whole). I have addressed the role of reason in human life, and Brooks’s book is very much about this. Certainly he is a man of reason, yet his position is not exactly mine. He attacks “scientism,” the supposed view that rational formulas explain everything, and the “homo economicus” construct that people are self-interest calculating machines. But these are straw men caricatures utilized, often by cynics, to subvert the whole enterprise of bringing rational analysis to bear on human problems. Nobody actually believes the purist doctrines mocked; we recognize the caveats and limitations; yet still science does explain a lot, as does even the much-derided “homo economicus” model. In stressing the critiques but not the counter points, Brooks disserves the Enlightenment cause. Actually, he makes a point of distinguishing between the French and British Enlightenments. He describes the former as seeing society and its institutions as machines to be dissected and re-engineered, while the latter sees them as infinitely complex organisms that dissection cannot fully understand. Brooks plants himself firmly in the Brit camp. But again I find his take too categorical. 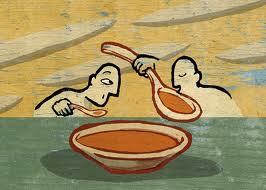 A fully rounded understanding requires not one perspective to the exclusion of the other, but integration of both. 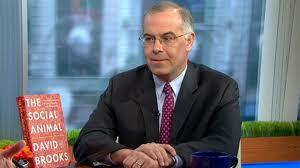 Brooks seems to be neither a Democrat nor Republican, but a Sociologist. He sees one party wedded to government, the other to the market, but with both dysfunctionally oblivious to how much people and their behavior are shaped neither by governmental approaches nor market forces but, rather, by social forces – which he worries are fraying. With people less anchored into a rich fabric of social bonds and norms, one’s political faction comes to loom larger in shaping personal identity. This has transformed both parties into cults*, with politics becoming a war pitting identity group against identity group, heightening for each group the sense of “otherness” about the other. These are no longer disagreements among friends but morality dramas. 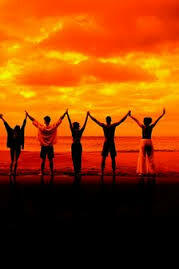 ** Trust in each other, and in common institutions, has collapsed, and compromises become impossible. Brooks says the true aim should not be to maximize freedom but to make a society in which people flourish best. To put a label on it, he laments that “socialist” is already taken — a mislabeling he thinks, because socialists really put the state before society. A true socialism would put social life first. ** The other day I heard Alan Chartock, head of the local public radio station, on the air calling the Republican U.S. Senate leader “evil.” And in the next breath he decried excessive partisanship! Then we had Gregory Hicks, our second ranking diplomat in Libya in September, testifying recently about his frantic phone calls trying to get armed help to Ambassador Stevens and colleagues besieged in Benghazi. 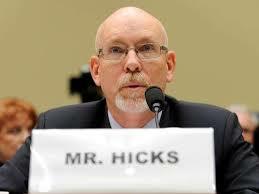 Hicks got a run-around; the military, and State Department, were either unprepared, or uncaring, or just too timorous. Hicks also said he personally briefed Secretary of State Hillary “What Difference Does it Make” Clinton about what really happened, so he was “stunned” and “embarrassed” when UN Ambassador Susan Rice later went public with a different story. And after Hicks agreed to talk to congressional investigators, he was demoted. 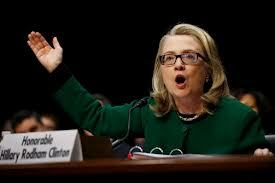 Then there was the testimony of Hillary “What Difference Does it Make” Clinton herself. Her famous rhetorical question referred to the “spontaneous protest” narrative versus a calculated terrorist attack. But apparently the Administration itself thought it made a big difference, because it worked hard to massage that difference, with the “talking points” being revised repeatedly. That, we’re told, was just a bureaucratic tug-of-war between the State Department and CIA. In truth it reflected an effort in political spin. The Administration knew straightaway that this was a planned terrorist attack, with no evidence for the “spontaneous protest” fable. Yet, under the guise of being cautious about the facts, the CIA’s factually detailed information about its being a terrorist attack was completely removed from the talking points (it wasn’t merely editing a single word, as White House spokesman Jay Carney insisted). And so hapless Susan Rice was sent out to tell a story the Administration already knew was false. So: what difference does it really make? It’s to understand what happened, to learn from it, and prevent recurrence. And it also makes a difference whether the Administration is honest with us, or deliberately lies for political advantage. 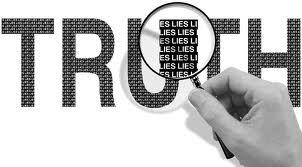 Yes, I know, “politicians lie.” But it’s not politics as usual when it’s a matter of national security, and the murders of U.S. diplomats. In that context, mendacity is absolutely intolerable. That’s what difference it makes, Mrs. Clinton. My main life is not blogging but numismatics; I’m a full-time coin dealer and still a collector too. What I probably love most is Roman coins; and recently obtained one that particularly pleased me. I thought I’d share why, to give you some flavor of this esoteric pursuit. I especially enjoy Fourth Century Roman, after Diocletian’s reform, which actually introduced a parade of routinized, repetitive, boring coin designs. But there are interesting variations, and also some completely oddball types. And, in the context of all the routine ones, those oddballs really have pizzazz. My new acquisition falls into that category. It’s a half follis of Maxentius, who ruled from 306 to 312 (but only in parts of Italy and a few other bits; he ultimately fell to Constantine I). Typical for this period, most of Max’s coins conform to one basic type: a bronze follis (around 1-1/2 inches) with a temple on the back. A second type (Dioscuri and horses) is less common. Between them, that’s probably 98% of Maxentius coins. But then there are the oddballs: like the half follis. 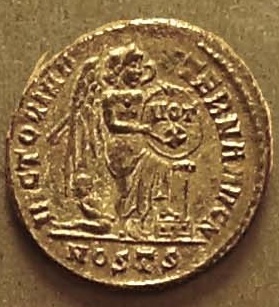 Indeed, while there were many quarter follis coins (tough to find in nice condition), the halfsie was pretty much unique to Maxentius. And it’s no mere smaller version of the follis; it’s a special type with the goddess Victory writing on a shield, “VOT X” (signifying an optimistic ruler’s vow to serve ten more years.) Thus an unusual and interesting coin. I’ve mentioned condition. This is extremely important in numismatics generally, but especially for ancient coins, most of which were found in the ground. Gold and silver can survive pretty well, but bronze is very susceptible to corrosion. Vast quantities have been recovered, but only a tiny percentage in top quality. Which is what I go for. I never disparage anyone collecting run-of-the-mill coins, of course they’re still very historical and all. But for my collection, I am an insufferable condition snob. I’ve noticed even great collections, when auctioned, usually contain some blah specimens. Not mine. As noted, the great majority of Fourth Century Roman coins are routinized types, and while again the percentage in top quality is tiny, it’s a percentage of a very large population; so you can find them at surprisingly reasonable prices (like $20 to $50). However, for less usual types, the low survivability rate makes topnotch specimens truly elusive. The Maxentius half follis is also my kind of coin, long coveted to round out my Maxentius section, but I’d never found one at a good price. I finally got it at a monthly Albany show. I’d known the dealer for years, but was surprised to see him here. He’d taken a table the previous month, but not this time; we went to the bar, where I picked through his hefty boxful of ancient coins. Typically, nearly all were (to me) way overpriced; but I did find a few worth buying. The Maxentius wasn’t the costliest. That was an Augustus denarius with bull reverse, and a great portrait, but the back messed up, at $685. It was quite a job bargaining him down from $800, especially that last $15. I was betting I could improve the look of the back, and it did turn out beautifully. Such cleaning and similar restorative work is another part of my fun with ancient coins; it’s a real art (and also a big aspect of acquiring good coins on the cheap). Indeed, truthfully, I enjoy coins’ “objectness,” the whole preservation thing, even totally divorced from their cultural/historical significance. 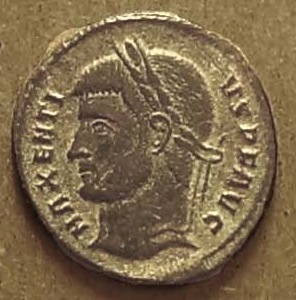 Maxentius was $115. I wouldn’t have paid much more. It too had a condition issue, some encrustation. Sometimes its removal can uncover corrosion beneath; but this coin proved to have just the kind of encrustation you want, basically just impacted dirt harmlessly removable. Now it’s perhaps a $250 coin. Still not really a lot of money considering its rarity and quality. And, yes, it makes my cut. Honestly, I’d like a little more hair detail on the beard, but let’s not be ridiculous, it’s a great coin, and a wonderful addition to the Frank S. Robinson collection. P.S. 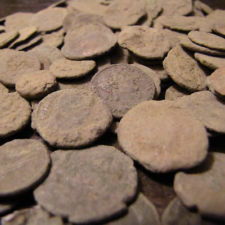 Click here for my current unreserved auction of ancient coins, with photos. None of my 300+ past blog posts directly tackled the biggest fact of human existence: that it ends. First let’s be clear: death is death. There’s nothing afterward, desperately though we crave a different answer. Not even most religious believers quite succeed in deluding themselves; if they did, they’d welcome their deaths, as would their loved ones. Few do. How to live in the face of death is the one great philosophical question each of us must confront, consciously or unconsciously. Happy endings are only temporary. Every life finally ends in tragedy, because you lose everything. True; but you do get to enjoy it for a while, and that itself is something of a miracle, a fantastic gift vouchsafed by an uncaring cosmos. (Actually an accident, a fluke.) No law of nature says you had to exist at all. Let alone with a mind capable of appreciating it. That the atoms in a brain, each utterly lifeless, somehow come together to enable us to see, to think, to feel, to love, to be, and to know it, is another virtual miracle. And you’re pissed you weren’t given immortality besides? Come on. Yet nonexistence is terrifying; we can’t even wrap our minds around what it means. And it doesn’t assuage the loss to say I was also nonexistent for the eternity before my birth, or that being dead, I similarly won’t be aware of it. 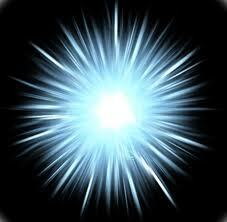 But sandwiched between those black abysses of nothingness is this brilliant little spark of light that I live. So I keep my focus on the light and not the dark. 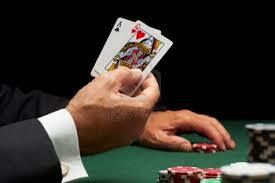 You play the cards you’re dealt; no use wishing they were different; or for cards not even in the deck. But play them to the hilt, knowing you’ll get no others. 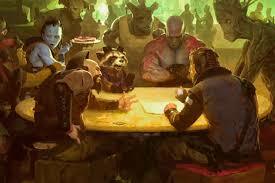 And the game is not for points, or money, but feeling. 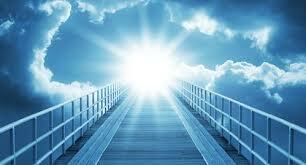 As I’ve stressed, the only source of meaning in Creation is the feelings of beings who can feel. Maximizing positive feelings is everything. 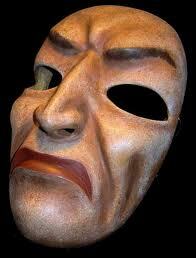 That’s not amoral; acting morally is part of feeling good. Living thusly in the face of death has always been the human condition. But it won’t be forever. 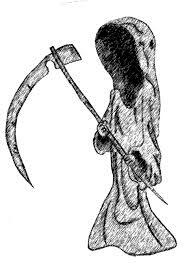 Ultimately, death is a medical problem. A very tough problem, yes, but don’t forget our species’ motto: The difficult we do at once, the impossible takes a little longer. The fight against death is our greatest battle, and we shall prevail. We’ve already made considerable headway. One thing we’ve learned, for example, is the role of little structures called telomeres at the ends of chromosomes. 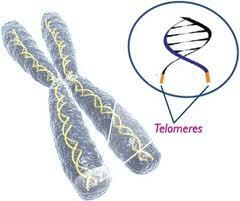 With every cell division and replacement, telomeres shrink. And when you’re out of telomeres – you’re out. Can this be cured? Well, why not? I don’t expect it soon enough to save me, I’m 65. But my daughter is 20, and on present form she should reach 100, and if she does, then I’ll bet she’s home free. This will change human existence in ways far beyond anyone’s ability to foresee. Some of course would see nothing but bad, and there would indeed be problems. Like overpopulation (but would we even continue having kids? ); and if you worry about inequality now, just wait till immortality becomes available – probably with a pricetag many can’t afford. But all this really just concerns a transitory stage of human evolution, with our existences still tied to corporeal bodies. Surely that won’t last. Now how’s that for optimism? 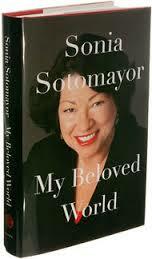 My wife gave me Sonia Sotomayor’s memoir as a Valentine gift – with a catch. I had to read it on her e-reader, which she wanted me to try. Verdict: I like its ease of use, but might quibble about inability to scribble. I had expressed interest in Sotomayor’s book after hearing some interviews. But actually, she had me at the title: My Beloved World. Though not everything in her world or mine is beautiful, I share the sensibility of that title. One small criticism. Sotomayor relates at length how, in a high school speech, she focused on the famous 1964 Kitty Genovese case. The story was that Genovese’s brutal murder was watched by 38 witnesses, who did nothing; and ever since this has been a staple of societal critiques. Turns out the story just isn’t true; it was bad press reporting. Apparently Sotomayor is unaware of that. While studying at Princeton, Sotomayor joined an Hispanic political action group. An issue arose concerning a local hospital where treatment of Spanish-speaking patients often suffered because of a language barrier. But instead of denouncing the hospital, picketing, etc., Sotomayor helped organize a program for bilingual volunteers to assist with Latino patients, which proved highly successful. I liked that story. Another made me laugh out loud with delight. 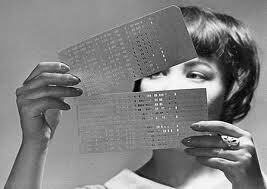 At Princeton Sotomayor got a computer data entry job; this was the 1970s punch-card era. Meanwhile, she was working on her senior thesis. At that time I was a PSC lawyer, and our briefs were typed onto “mats” for reproduction; so if you made any significant change, all subsequent pages had to be retyped. Sotomayor faced the same problem with her thesis. Until she had a bright idea: coding pieces of text onto her computer punch-cards, enabling her to make changes at will. Sotomayor’s book gives this only a few lines, but I thought it was pretty stunning. As a college student, she basically invented, for herself, what came to be called word-processing; hers was the first Princeton thesis ever done that way. It shows she was one smart cookie. Which leads me to my main point. Sotomayor was smart, and did a lot right in pursuing her ambitions, but also was a beneficiary of affirmative action, and she knew that. It’s doubtful she’d have gotten into Princeton had her name been Smith. I oppose affirmative action, insofar as it’s ethnically based. For one thing, the whole concept of “race” is largely a societal construct and deeply flawed from an objective standpoint. 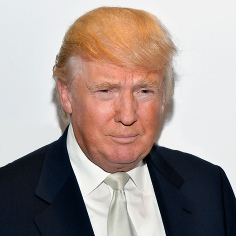 (We have a president who’s more literally “African-American” than most who wear that label, yet his mom was a white Kansan.) Secondly, non-white skin doesn’t necessarily correlate with being disadvantaged in today’s America. And as for all the “diversity” platitudes, I might be more persuaded were academia not rife with “speech codes” and other enforcements of political correctness, suppressing the kind of diversity that really matters most on campus: diversity of thought and opinion. Now, Sonia Sotomayor was not a textbook case of rising from disadvantage; though she was a Puerto Rican kid from Bronx’s “projects,” with an alcoholic father, her mother was a health care professional and she got a decent education in Catholic schools. But still, coming from that general environment, her path was not easy, and getting herself to where Princeton was even possible shows a panoply of personal characteristics that surely should count for more than mere test scores or grades. That Princeton chose her, over some other kids with higher numbers but born to privilege, was entirely justified. Indeed, that was a merit-based decision, not mere ethnicity-based affirmative action. 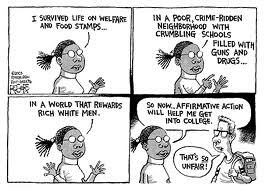 Proper affirmative action should mean giving due weight to the achievement of people who didn’t have life handed to them on a platter but had to overcome disadvantages to get as far they have. Those are the people society should invest in, and we’re a better society for doing so, not only for those individual beneficiaries, but for everyone. Unfortunately, this we are not doing. A person like Sotomayor even applying to a school like Princeton is actually unusual. A recent nationwide survey shows that only 34% of high-achieving high schoolers, in the lower income quartile, go to one of the 238 most selective colleges. For those in the higher income quartile, it’s 78%. The lower income group tends to be unaware of opportunities at elite colleges and to go, if at all, to local schools, with fewer resources, lower graduation rates, and – perversely – higher cost, because top colleges would likely offer them generous financial aid. Obviously this stunts their career potential. 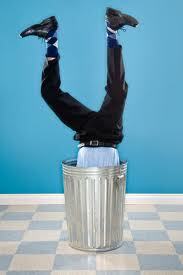 Thus we are throwing away a lot of talent. Affirmative action should focus not on race or ethnicity, but on opening doors for high-achievers whose circumstances will otherwise likely hold them back. This blog, since WordPress featured it recently, has many new followers. Welcome aboard! People gaining success or recognition often say they’re “humbled” — the exact opposite of the truth. But my expanded followership does heighten a sense of responsibility, to maintain a high standard. You won’t see daily postings about what I had for lunch. 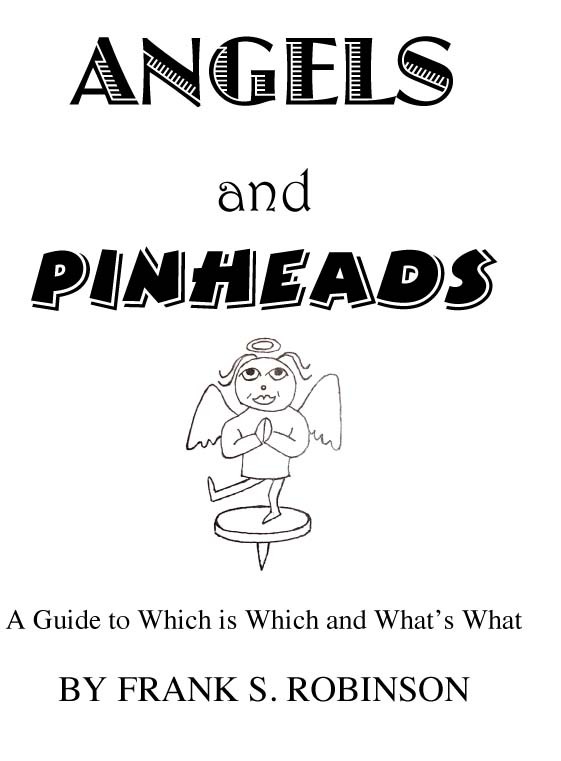 But I will plug my new book, Angels and Pinheads: A Guide to Which is Which and What’s What. It’s a selection of 146 essays from this blog, on a wide range of topics, packed into 226 pages, guaranteed to include something to offend everyone, attractively priced at just $9.95. Click here for more info. According to a report in the New York Times, almost one in five U.S. high school boys has been diagnosed with Attention Deficit Hyperactivity Disorder (ADHD), and over half of those takes medication (usually Ritalin or Adderall). 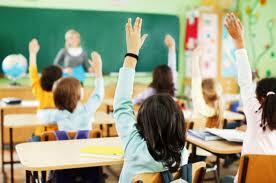 The American Psychological Association is planning to revise the definition of ADHD. To curtail over-diagnosis, you might think. You’d be wrong. It’s to allow even more people to be diagnosed and medicated. 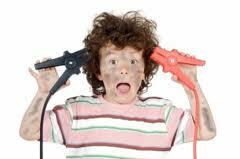 There is no clear-cut diagnostic test for ADHD. It’s just a subjective judgment, based on talking with kids, parents, and teachers. And, the Times notes, even that process is often skipped due to time constraints and parental pressure. The above was going to be the start of a sneering blog post. However . . . It is indeed easy to sneer at all the medicated people in America – as though it’s not living authentically, like zombies, or something. Or to cynically cast the pharmaceutical industry as drug pushers trying to hook us on their products, for profits’ sake, contributing to ever-rising health costs. Yet, the fact is, we get a lot of value for that spending. If living authentically and unmedicated means pain and suffering, and early death, you can keep it, thank you very much. Modern medicine gives us lives not only longer but of better quality. That’s worth paying plenty for. I’ve mentioned that someone close to me takes a medication that literally changed a crappy life to a happy life. This is why Ritalin too is so popular. 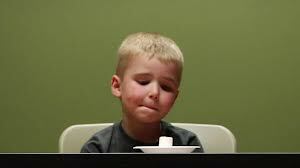 It improves self-control and focus, and school performance; it’s been called the “good grade” pill, the academic analog of steroids in sports. And as I’ve emphasized, America has a real problem with under-education. If Ritalin helps with that, good. But what does bother me are the D’s in ADHD – “deficit” and “disorder.” It’s part of what I call the medicalization of normality. There isn’t one rigid behavior pattern that should be expected for everybody. 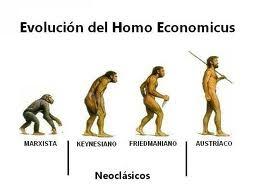 Humans are complex and diverse and traits range along a spectrum, the classical bell-shaped curve. Some, for example are highly sexed (JFK, Clinton); others are the opposite (Nixon); most fall in between; but only at the extremes might it make sense to talk of “disorder” rather than merely normal variation. The same applies to ADHD. This “disorder” should, in most cases, be more simply diagnosed as being a kid. This seemingly evokes Brave New World’s “soma” pill making everyone serene zombies. But this dystopian notion reflects what is again an irrational prejudice. There is no qualitative distinction between feelings induced chemically versus “naturally.” The neurons’ activity is the same, and any idea that one “should” feel different than one actually feels is incoherent. Anyhow, there is no virtue in authenticity to the extent it entails suffering that can be ameliorated. As I’ve argued, the only source of meaning, whatsoever, in the Universe, is the feelings of beings capable of feeling. How such feelings are affected is ultimately the only ethical touchstone. Ethics does also encompass justice. And if you feel bad because you’ve done wrong, you should. But that’s a special case; more generally happiness is not deserved or undeserved. While some scolds do view it as something to be striven for, through a life well-lived, etc., the reality is that genetic make-up plays a big role. This makes happiness or unhappiness something befalling people, a matter of luck more than personal responsibility. I recently came across a 2009 Free Inquiry article, The Case for Happy-People Pills, by Mark Alan Walker. He argues that such a pill would be profoundly egalitarian. Differences in the genetic propensity for a happy disposition constitute an inequality more salient than wealth differences. After all, wealth is only an instrumentality toward happiness, and one can be happy without it. 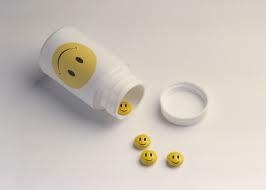 A happy pill would enable us to distribute more fairly the bottom line desideratum of well-being, by giving it to those not lucky enough to win the genetic lottery for a happiness predisposition. And this, unlike with wealth redistribution, could be achieved without taking anything away from anybody.